Using the right primer is vital in achieving the perfect finish. 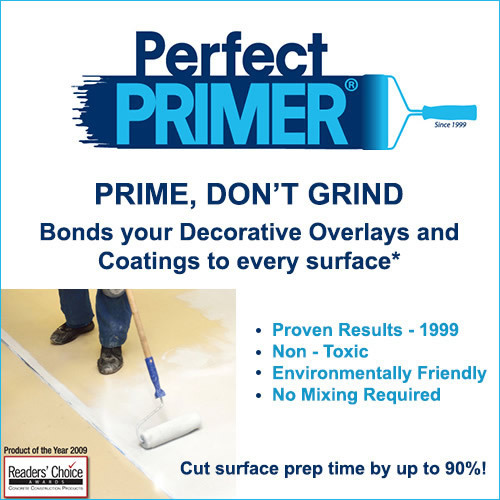 PerfectPrimer is a great choice for many reasons. Suspect that the surface has asbestos? You can use the primer to encapsulate the surface. This ensures asbestos is not disturbed and distributed in the air. PerfectPrimer can be used on a wide variety of surfaces including ceramic tile, metal, concrete and much more. It is compatible with a wide variety of epoxies and overlays too. It will help to create molecular bonds with even the most difficult surfaces. This ensures that you have more choice when picking a finish for your surface. There’s no need for grinding surfaces before applying the primer. 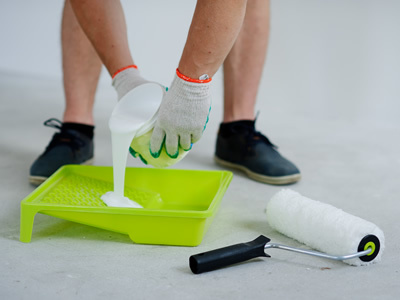 There is also no need to replace materials or build a new slab as the primer can be used on a wide variety of surfaces. This reduces the input required for prepping surfaces. The primer comes ready to use. There’s no measuring or mixing required. This reduces the chances of error in preparing the primer and improves results. It is easy to apply too. No specialized equipment is required. It can be applied using a brush, spray or roller. PerfectPrimer is a great choice for use on any surface. It will help you achieve great results whether you’re a professional contractor with years of experience or a do-it-yourselfer trying out their first project.